04/2010 Some links were removed belwo at request of another site owner. Seafood. 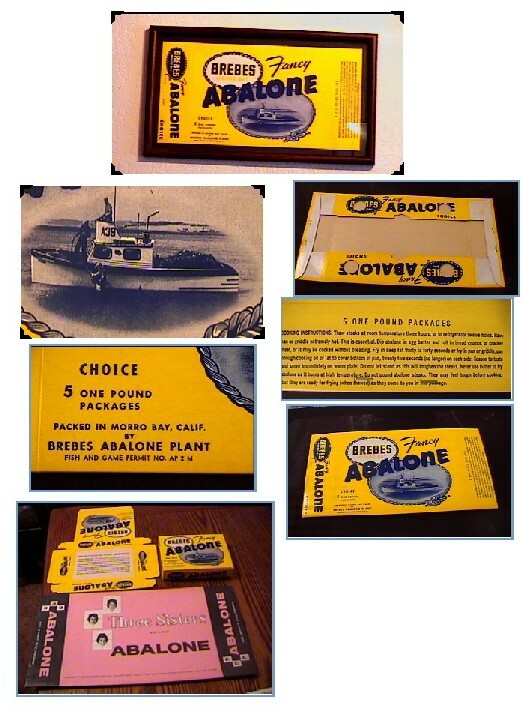 The abalone diving boat shown is the "Hornet." Courtesy of Giovanni's fish market in Morro Bay! 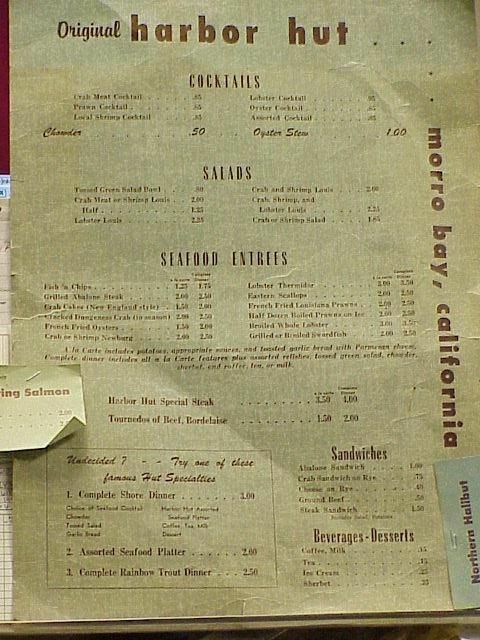 Original Harbor Hut menu, provided courtesy of Pete Thomas (Pete's web site another ) (Grilled Abalone steak $2).